Boreray sheep originated on the island of Boreray in the St Kilda archipelago off the west coast of Scotland. And the breed was named from this island. It is also known by some other names such as Hebridean Blackface and Boreray Blackface sheep. They were developed during the late 19th century from Scottish Blackface and a Hebridean type of Old Scottish Shortwool sheep. They have been largely feral since 1930. Their fleece is white to light tan, but occasionally darker. Both sexes are horned. The ram's horns are large and spiraled. Adult ewes weigh about 28 kg (62 lbs) and stand 55 cm (22 inches) at the withers. 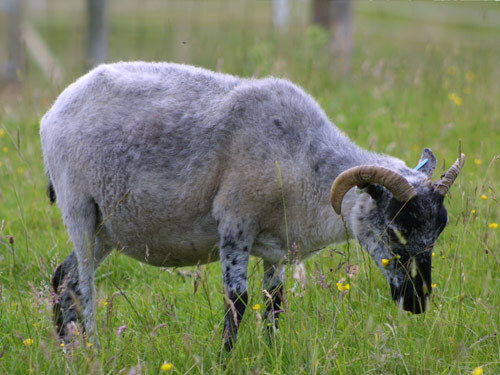 Today, it is the rarest sheep breed in the United Kingdom and there are less than 300-500 left.